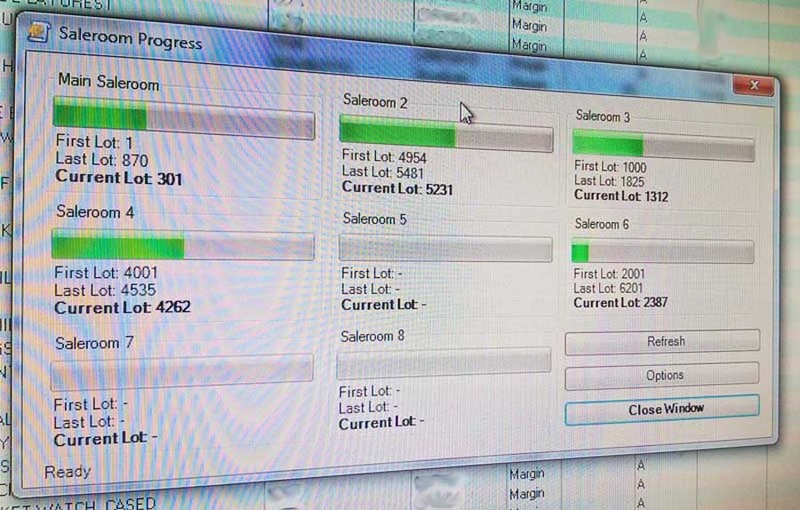 This was a large software development I did for Scotland's largest auction house based in Montrose. 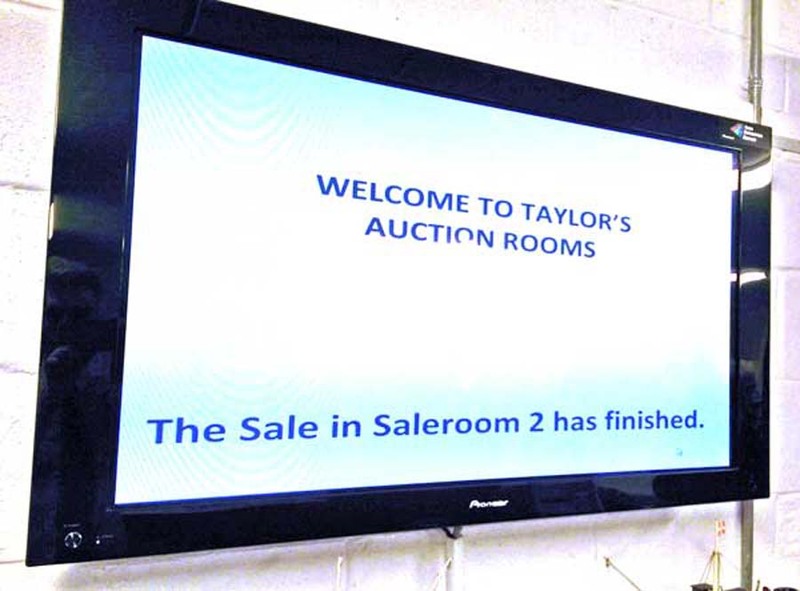 This system electronically handles both commission and telephone bids which are first received at the office. The bids are then added through a tray application called BidSender which lies at the heart of the system. BidSender then directs the bids to the appropriate saleroom; of which it can support eight. At the time of writing currently six salerooms are in operation at the site. 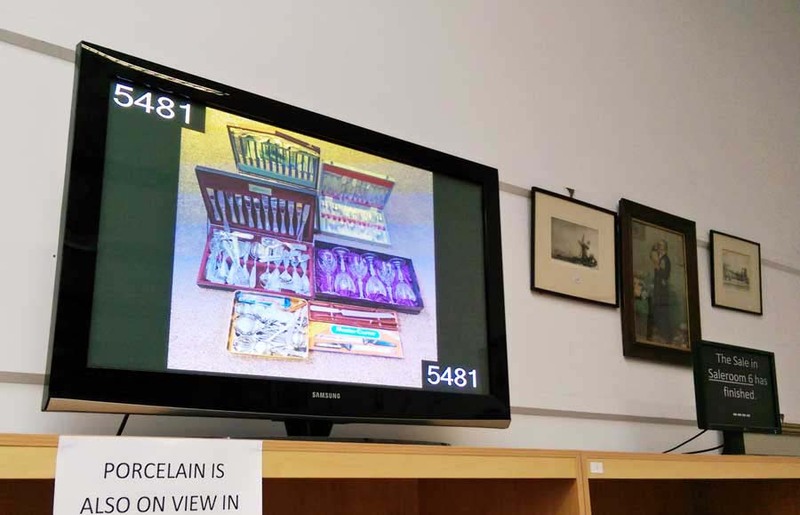 In the salerooms there are two key elements: Image Viewer and LiveBid. 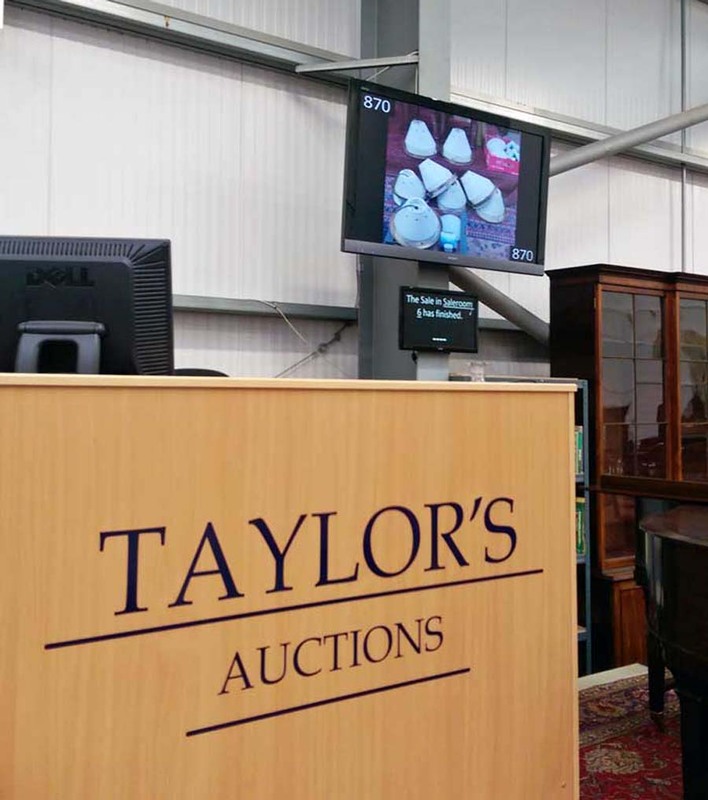 Image Viewer is a dual monitor application which shows the picture of the lot currently being sold on a large screen for bidders, and shows this image along with bid and other information on a smaller screen in the podium for the auctioneer. 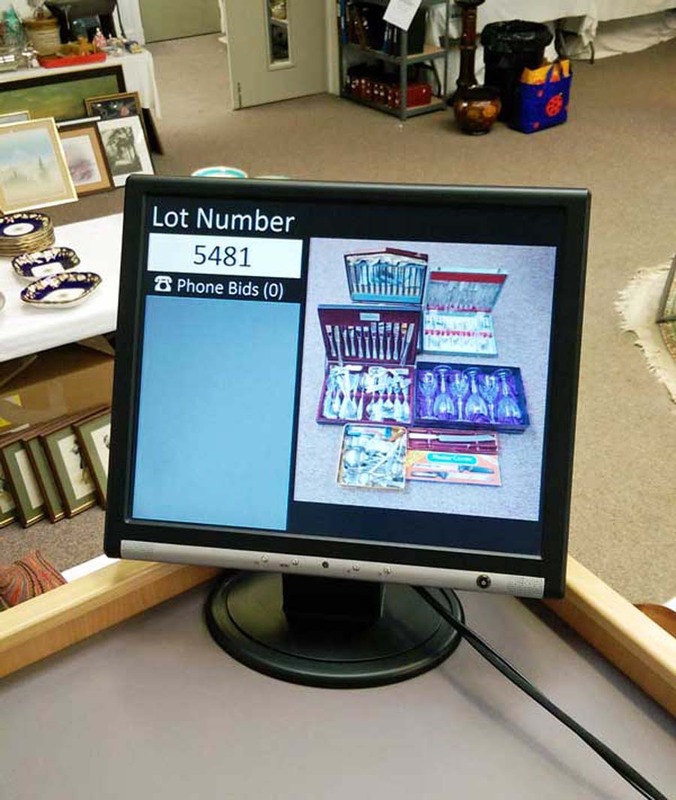 The bid information utilised by Image Viewer is controlled by BidSender in the office. 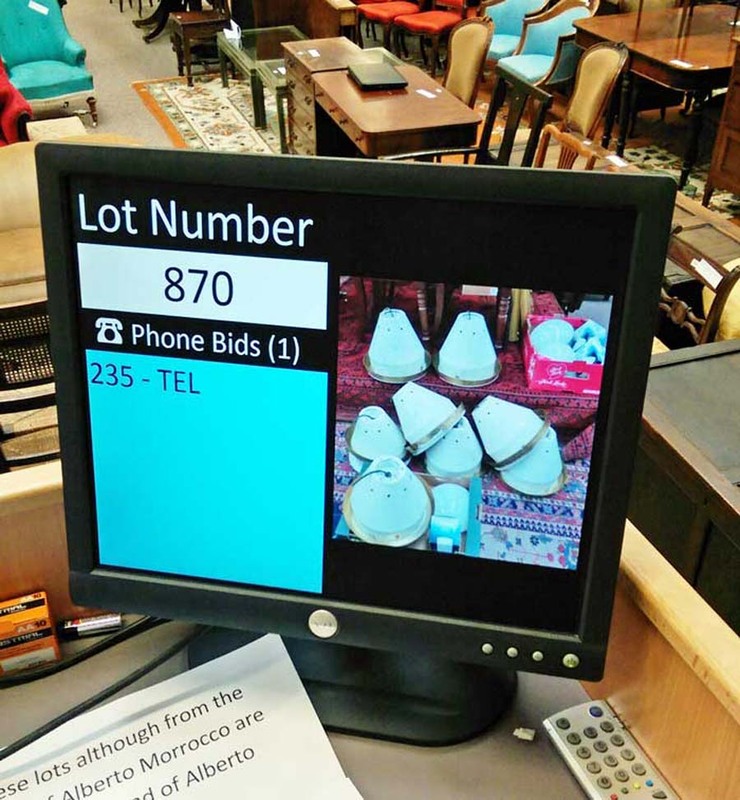 The other application in use in the saleroom is LiveBid which displays a 'live list' of telephone bids for those in the saleroom in charge of bidding on behalf of registered bidders who are not present at the sale. This allows staff to log results of bids as well as notes and other information. The system also gives notification of new bids when they are added or changed via BidSender as well as bids that have been cancelled or removed in real time. 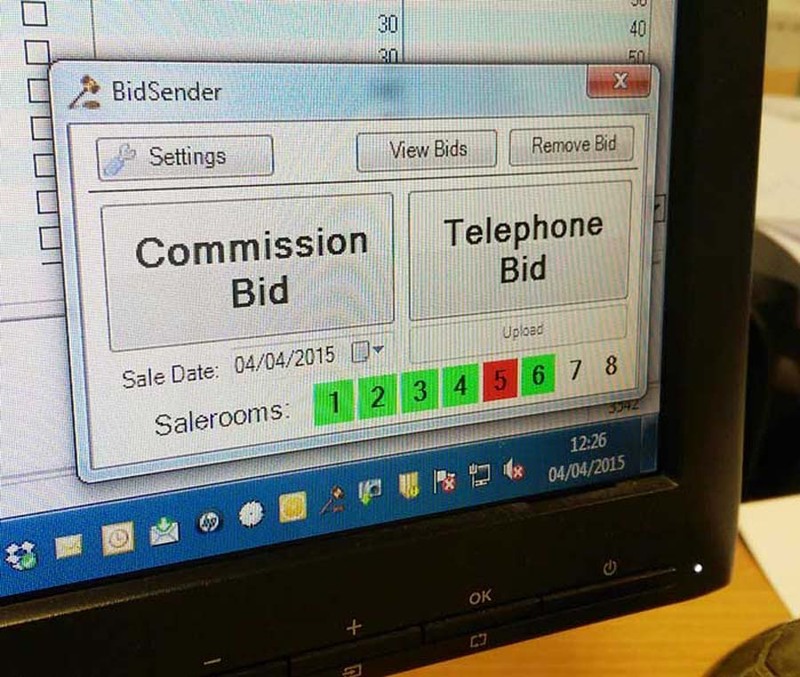 On a typical sale day the system processes in excess of 300 telephone bids and over 2000 commission bids.